Paris, the immortal “City of Light,” is what brings people to France; the Loire Valley, the country’s pastoral heart, is one of the reasons they stay a little longer. The big city is romance incarnate: a strollable maze of charming avenues, streetside cafes, famous landmarks, and ripe with all sorts of little wonders. The Loire is a child’s picture book come to life, where fairytale chateaus stand watch over charming medieval towns, luscious rolling hills, and vineyards that produce some of the world’s finest whites. Just a few hours apart but spiritually world’s away, these two destinations are each worthy of exploration on their own. But why limit yourself? Come with us and experience both. By day, Paris is an endless conveyor belt of museums, basilicas, gardens and splendid architecture bordering the River Seine. After dark it becomes the City of Love, with exquisite dining, the floodlit Eiffel Tower and colorfully lit bateaux-mouches traversing the river by moonlight. Spend time shopping for chic accessories in designer boutiques or markets; amble along the cobbled streets of the Montmartre artists’ quarter; climb the steps of the stunning Sacré Coeur and drool over a brie-filled baguette at a shady street-café. Within easy reach, the Palace of Versailles is the paradigm to which all other European palace-builders aspired. The contrasting delights of the peaceful Loire Valley are just a train journey away, where further fairytale chateaux offer jaw-dropping photo opportunities. It begins in Paris with a self-guided walking tour through the fabled streets of this historic and gorgeous European capital. 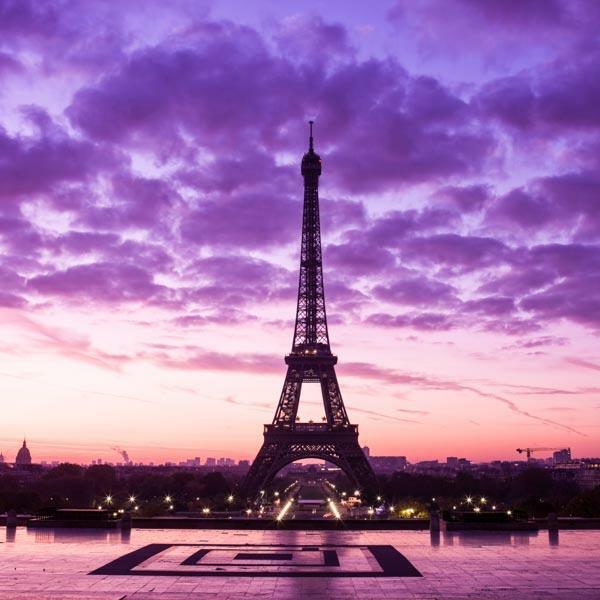 Get to know it even more intimately the next day via a hop-on, hop-off bus tour and spend the evening in the company of a sommelier, strolling the illuminated city, dining atop the Eiffel Tower, among other options. The next day, tour the stunning Palace of Versailles with a guide and marvel at this opulent monument to the ancien régime. Next, journey to Amboise where, in the shadow of the royal Chteau d’Amboise, you’ll embark on a full-day exploration of the historic chateaus of Blois, Cheverny, and Chambord (lunch and wine tasting included). Later, walk the enchanting streets and peruse the markets of Amboise on your own before returning to Paris. Amboise has 12,000 inhabitants and is in the heart of Touraine, in the land of chateaux. It is a town both traditional and modern, lively and quiet. In Amboise, there is a royal castle set above the Loire Valley and is a strong point extensively embellished during the 15th and 16th centuries. The Tour des Minimes, with its spiral staircase enabling riders to enter without dismounting, is the only one that has survived the ravages of time. The St. Hubert chapel is delightful and quite close to the country house of Clos-Luce where Leonardo da Vinci died and was buried. The medieval Town Hall and St. Florentin church, with its fluted pillars, are in the town while St. Denis stands above it.